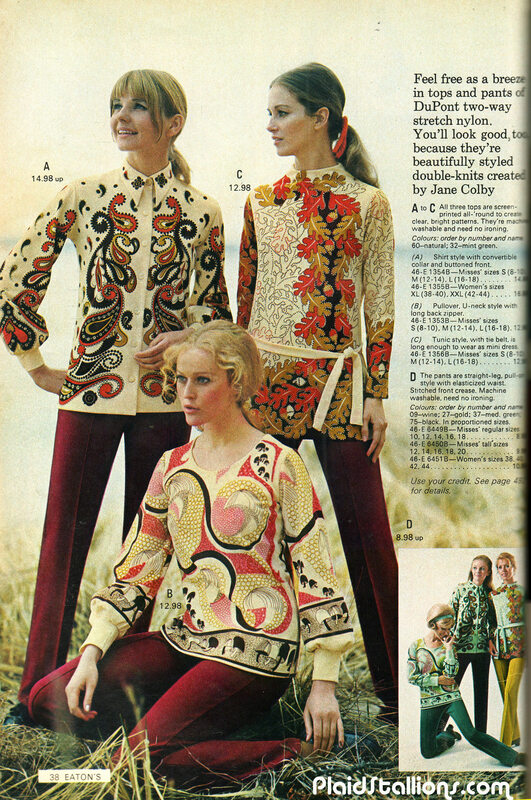 These seem nice but do you have anything a little flashier? 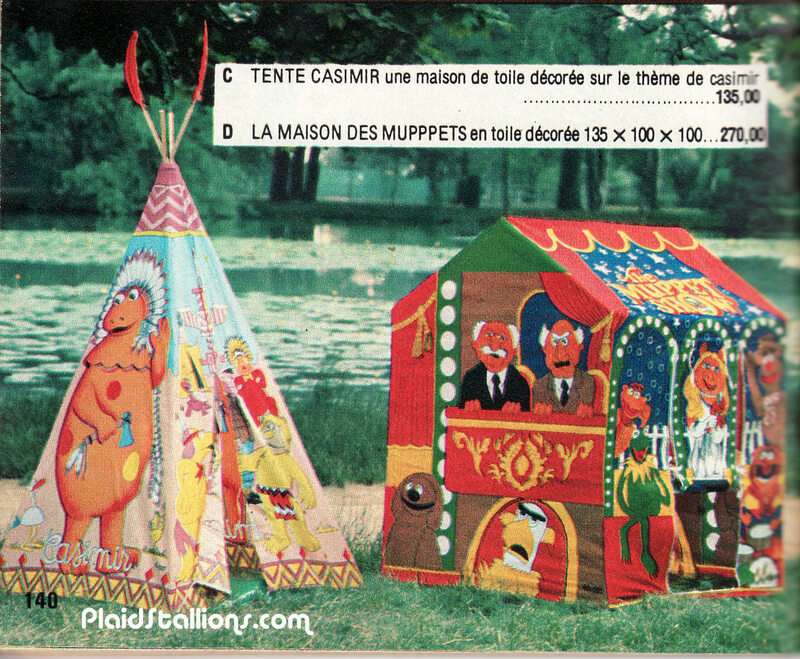 In the early 1980s, ITC Entertainment took their back catalog of (mainly) Gerry Anderson TV programs and edited them into a series of Television movies for the growing Cable TV market. 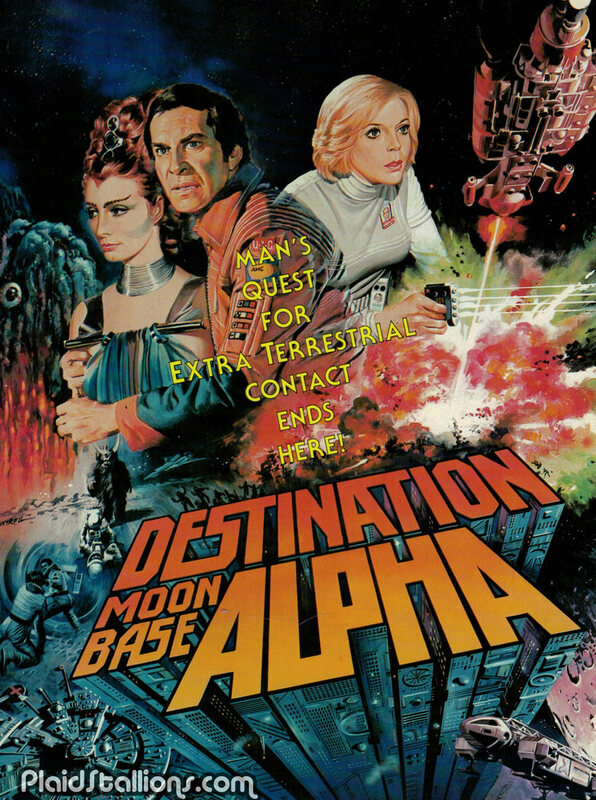 Dubbed "Super Space Theatre" these 14 movies were culled together from episodes of "Space:1999", "UFO", "Thunderbirds", "Stingray", "Captain Scarlet and the Mysterons" and the non Anderson property "The Champions" into new properties. Apparently it's the year 2100 in this movie. 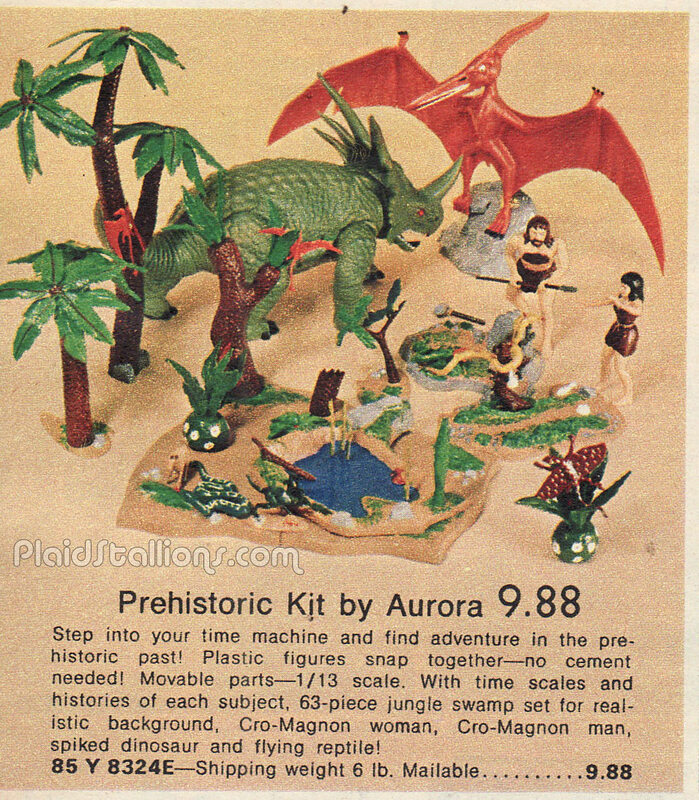 This package of (sometimes curiously edited) films was highly influential on yours truly, I ruined my sleep pattern trying to watch all of these as a ten year old and in turn, started to seek out merchandise based on these forgotten shows. 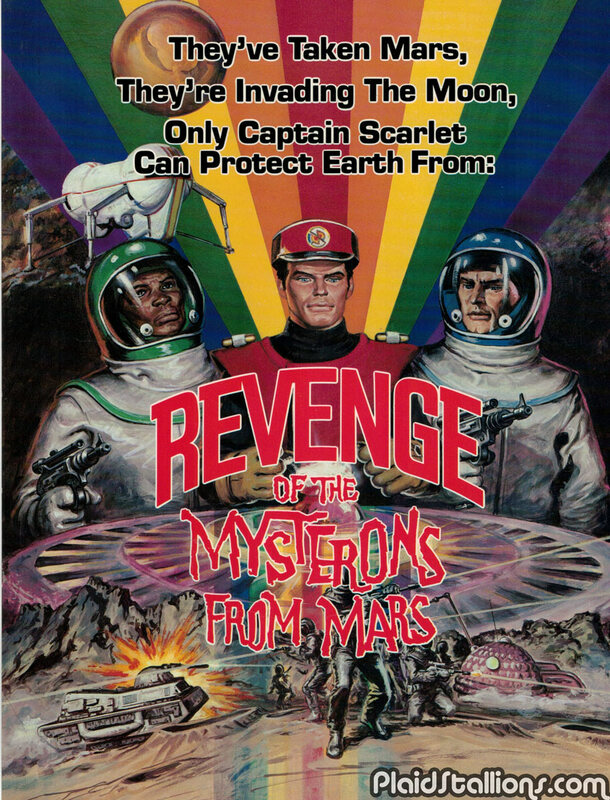 This site owes a great debt to the wonderful recycling of Super Space Theater, so this sales kit containing sell sheets for all the films is truly a grail for me . I've also included some photos of my collection of SST VHS tapes. 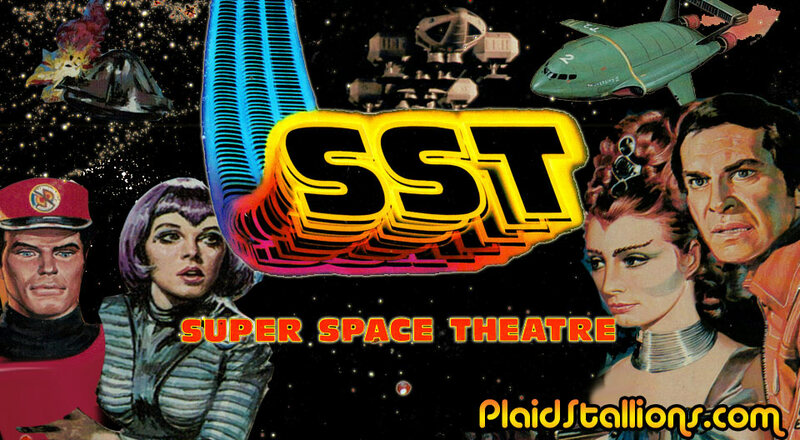 Check out Super Space Theater here. 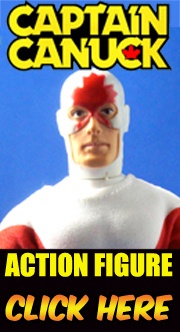 And hey, if you want some more Gerry Anderson, listen to our special podcast about him! I'm moving and forced to pack up my toys, every collector's nightmare! I'm making the best of it and photographing everything before I box it up. 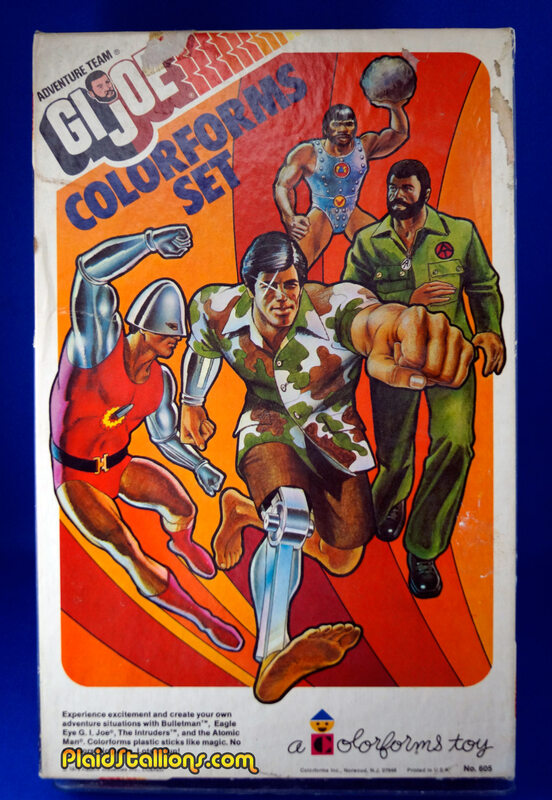 It's a lot of fun to get reaquainted with some of this stuff, especially this super cool colorforms set of the Super Adventure Team. More after the jump! 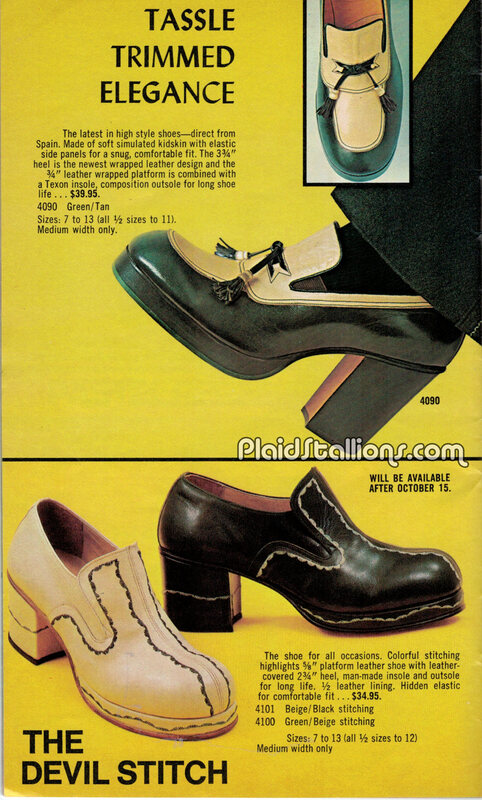 PS I kind of like these. 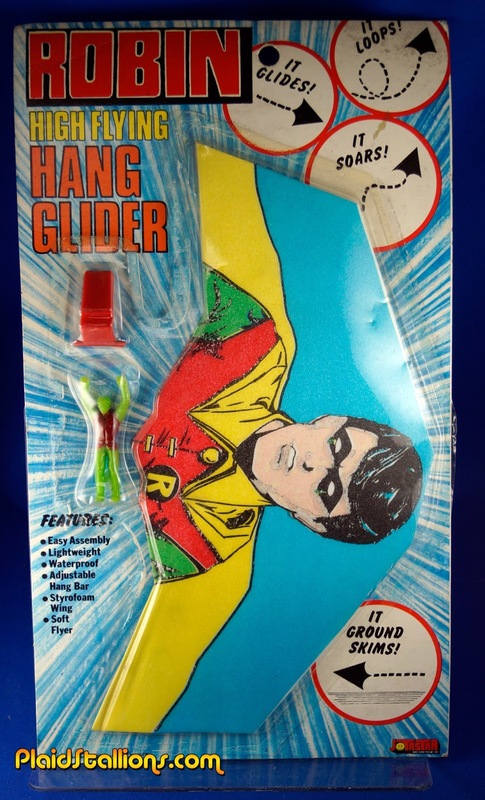 This one is new to me, even when I saw it I assumed it was an 80s or 90s piece and the seller had made a mistake but nope, this is 1978 Robin Rack Toy by Jotastar. The boy wonder can't get enough toy love as far as I'm concerned. 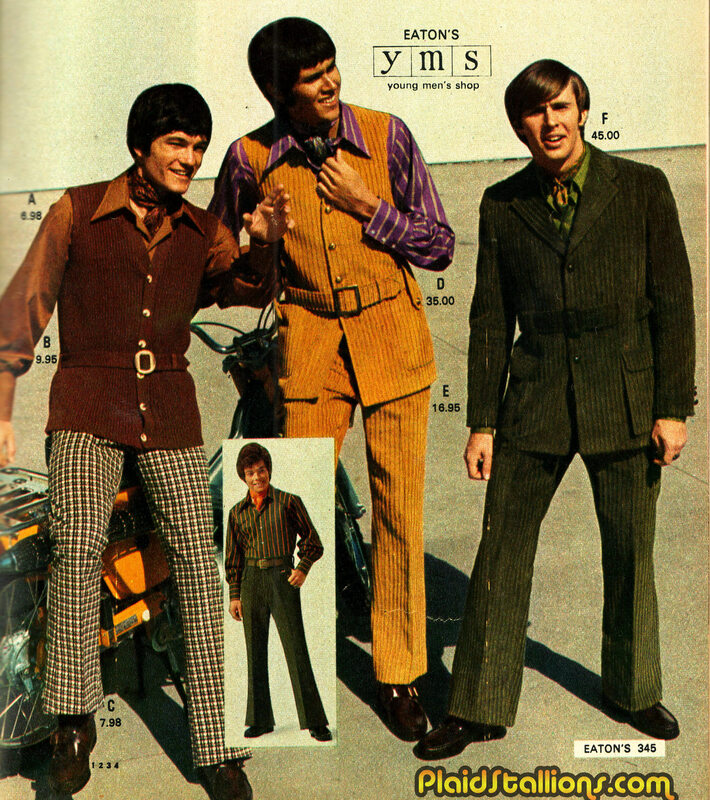 Roving packs of Paul Lynde fans terrorized suburbia in the early 70s, this is the only known picture of the cattiest of those gangs, the legendary "Center Squares". 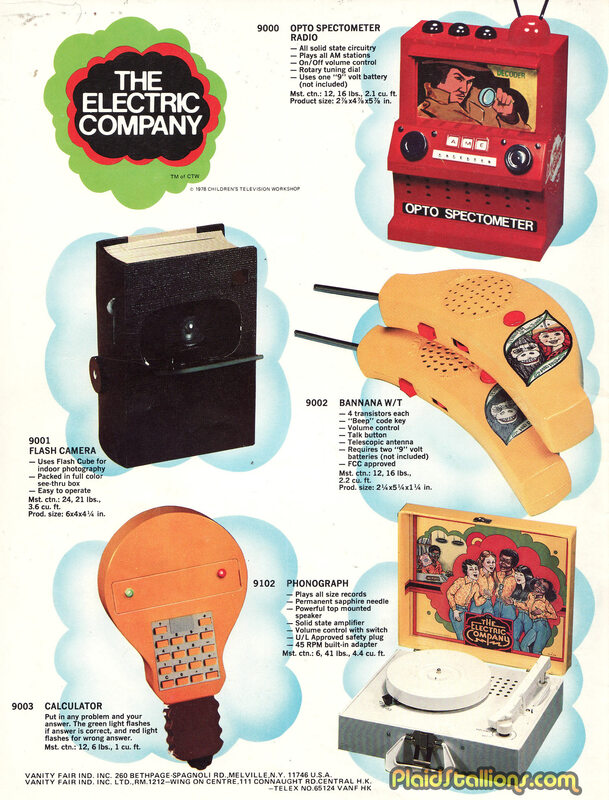 I have no idea if this Electric Company merchandise by Vanity Fair ever got released but I loved this show as a kid and would have been all over that Fargo North radio and Jennifer of the Jungle items. 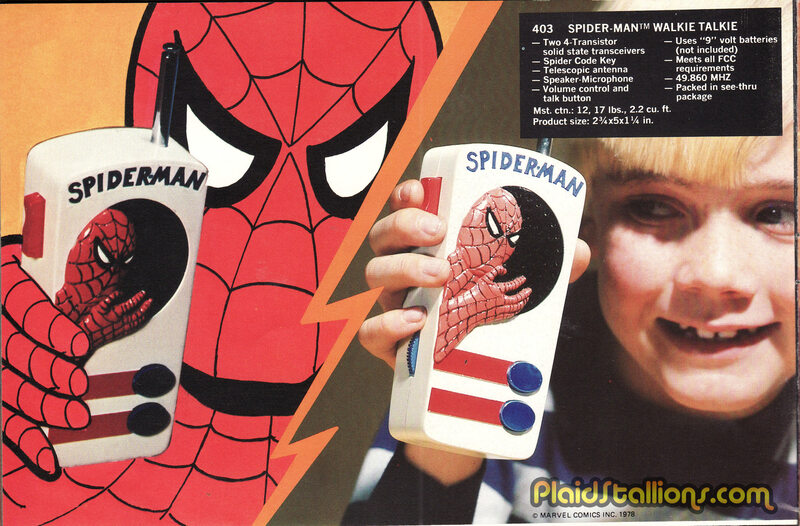 Not surprising, Vanity Fair also had the Spider-Man license so even he's involved. "Send Spidey those green pieces of paper in Mommy's purse"
Swingy Fringe, Maribou trim, sequins, lace and the fluffiest froth you've ever seen people! 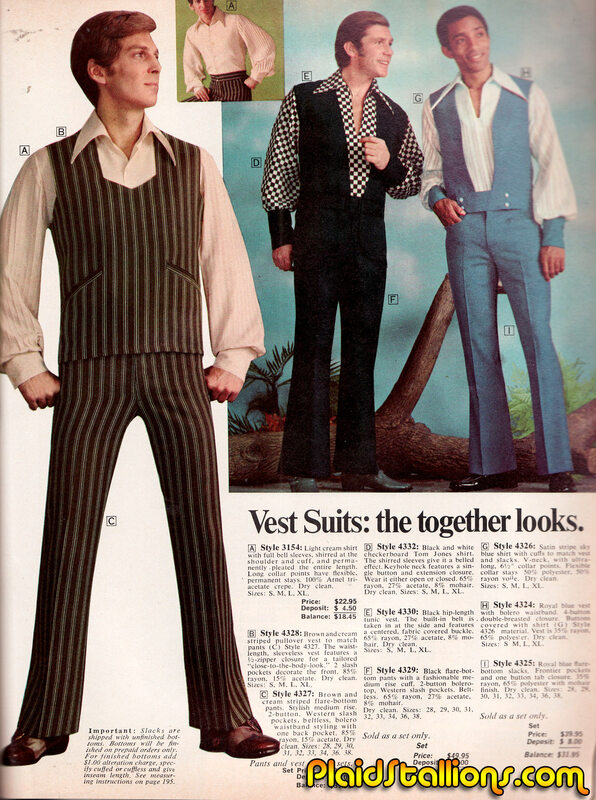 Vest Suits: The Together Looks! 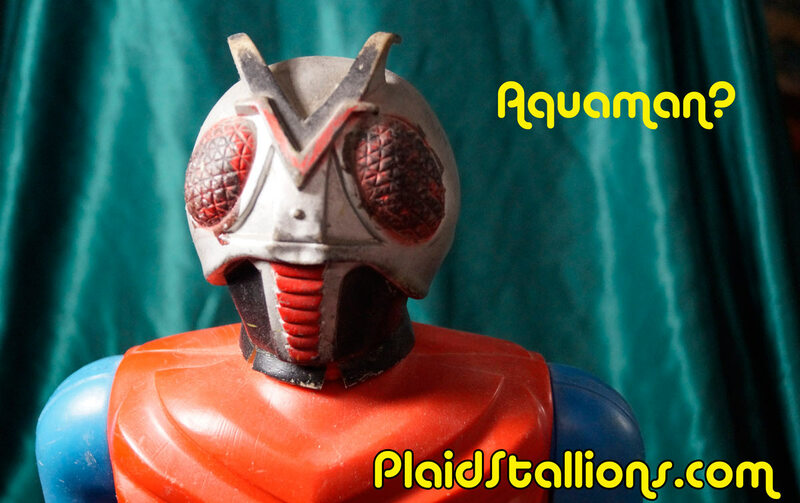 Tracked down a toy I've wanted for ages recently and it's certainly not the Aquaman, let alone a Shogun Warrior you're probably familiar with but I can explain some of this mystery after the jump. 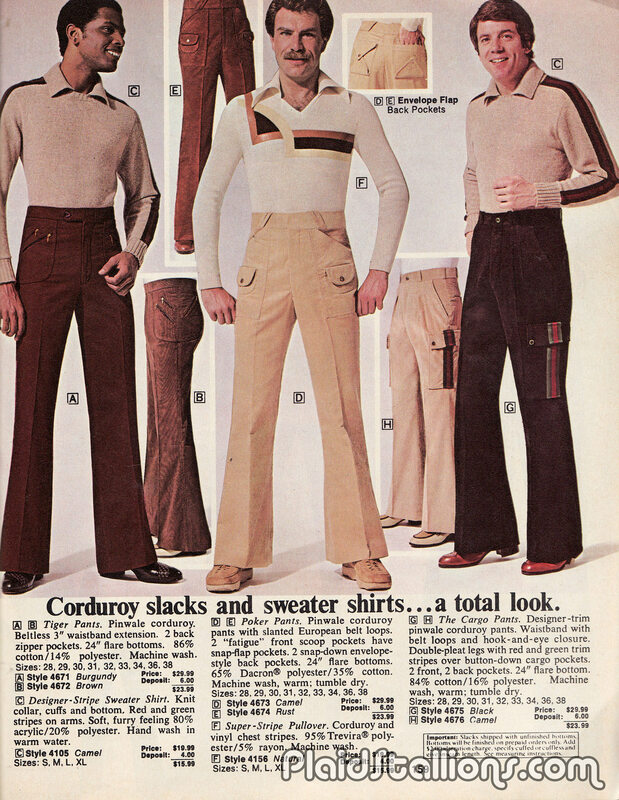 The American Corduroy industry is the official wardrobe supplier to your Uncle. 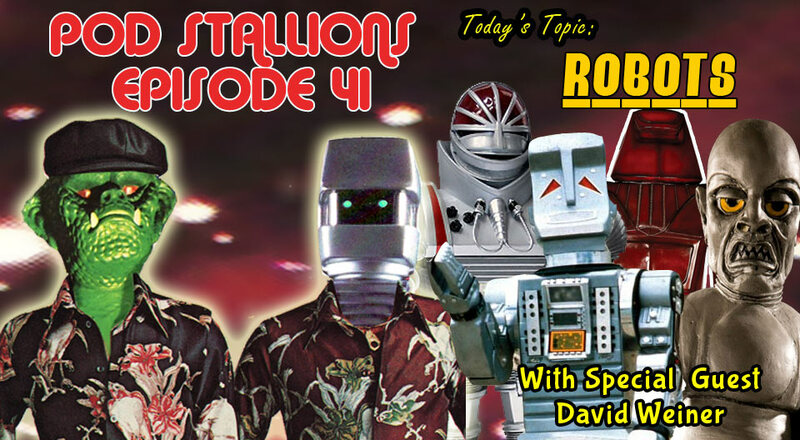 Pod Stallions 41 : Robots! For our 41st episode (and 3rd of 2016 if you're keeping count) we're joined by Famous Monsters of Filmland Editor David Weiner (@tikiambassador) for a discussion of all things robotic. We each pick and discuss our personal three favourite and least favourite mechanical men from film and television over the decades and discuss why. 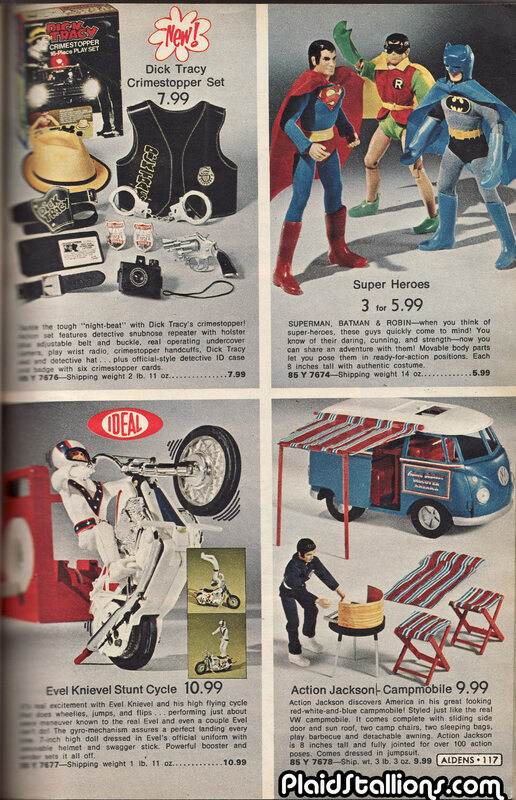 Along the way, we talk about toys, comics and even radio drama. We open the show with some words about the influence David Bowie and the crummy news that January delivered. Topics Discussed: Black Hole, Doctor Who, Hitchhiker's Guide to the Galaxy, Phantom Creeps, Millennium, Lost in Space, Buck Rogers, Logan's Run, Filmation, Space Academy. Hit us up on our facebook page with your top three best and worst! 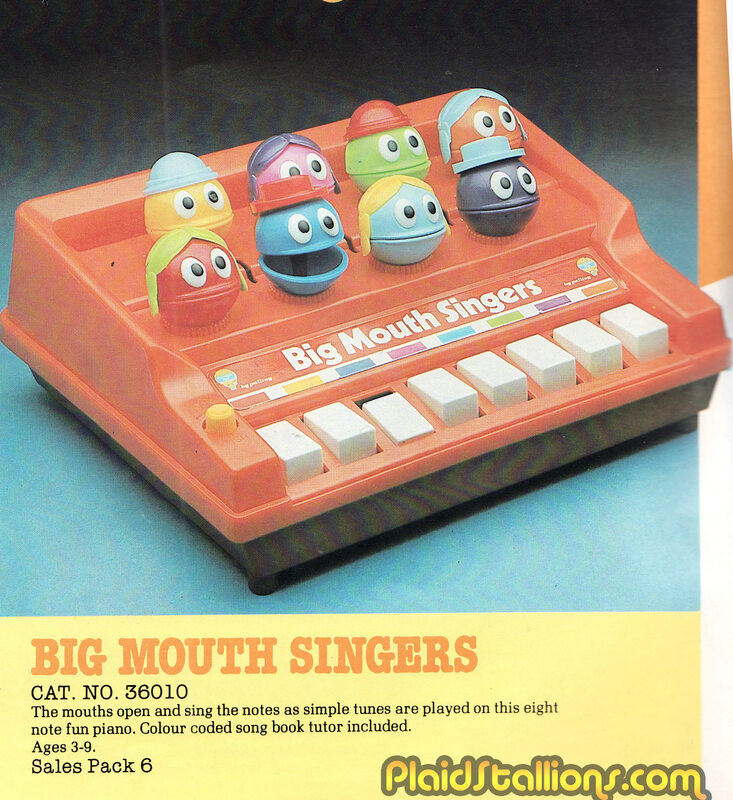 David's Famous Monster's Pod Cast can be found here. Plenty more content on the PodStallions Facebook page! This page will be my happy place all day. Finally! 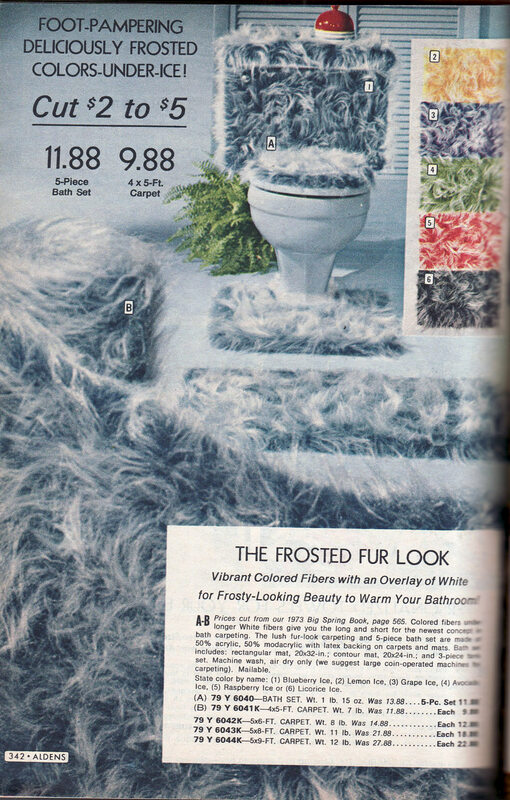 My love of crafts and Gabe Kaplan have been fused together for a magical Sunday Afternoon's worth of delight! 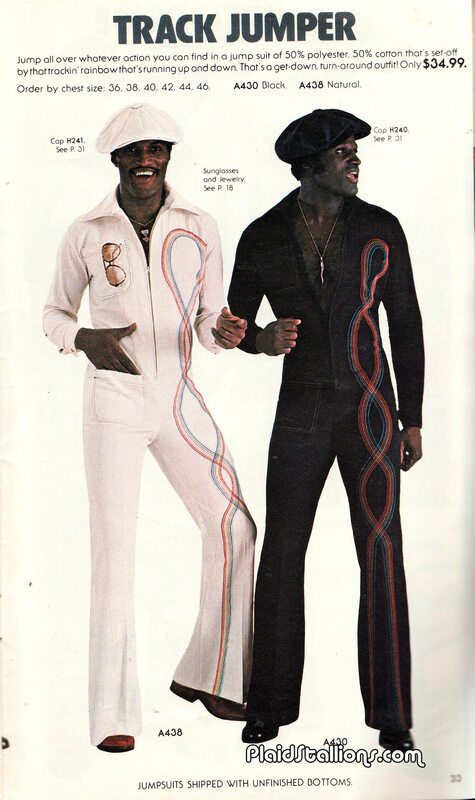 Some may scoff but the inclusion of a "Get Down-Turn Around Outfit" will only bring you good things!